During the writing his forthcoming book, Todd Pettys says he came across many interesting aspects of the process Iowans went through to make the state constitution. Pettys is a Professor at the University of Iowa College of Law and H. Blair and Joan V. White Chair in Civil Litigation. His book, The Iowa State Constitution, will be coming out next month and it's a walk-through of the provisions of the constitution. During this Talk of Iowa interview, Charity Nebbe talks with Pettys. 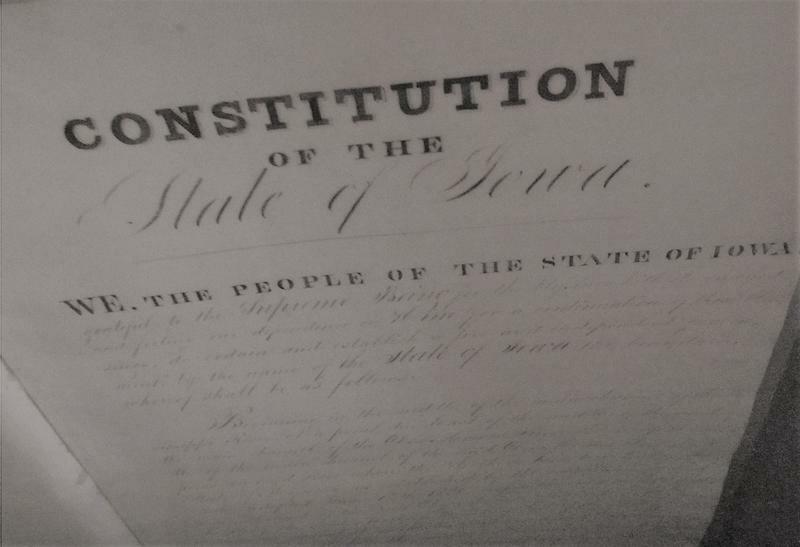 At an event October 5th at the Old Capitol Building in Iowa City, Pettys will be telling stories about the years spent developing the Iowa constitution. He calls it a historical tour of personalities and debates. Pettys says one aspect of Iowa's history in particular puts the wider U.S. history in context. The last of Iowa's constitutional conventions convened one day before the Dred Scott decision was given. Leading up to the end of that 1857 convention, the delegates had discussion related to how they thought the Supreme Court would decide. 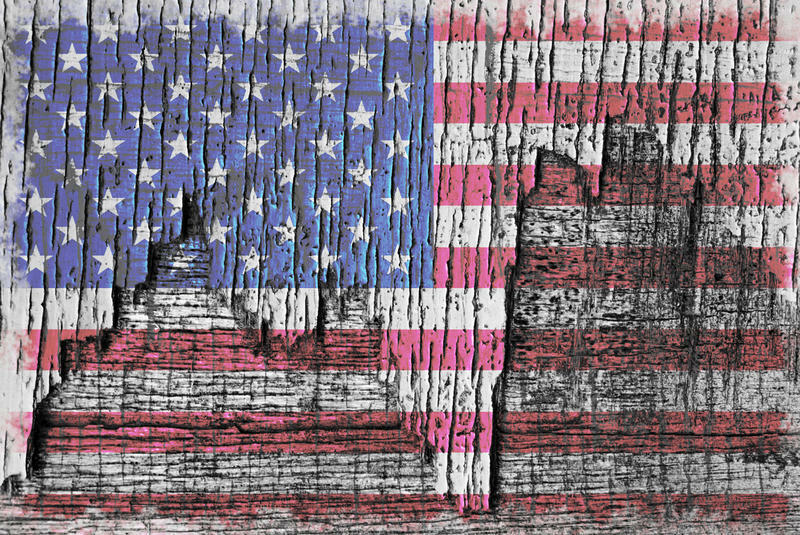 "They didn't want to write a constitution that would have within it, enough racial discrimination that was going to turn out to be unconstitutional or impermissible as a matter of federal law. " In the third segment of the program, Nebbe talks about the new documentary Saving Brinton with one of the filmmakers and the subject of the film. 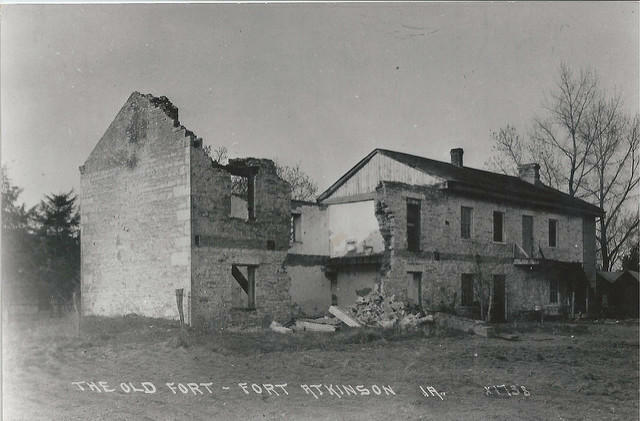 Fort Atkinson in Northeast Iowa was built and operated in the 1840s. After it was no longer used by the military, it deteriorated over many years. In this edition of Talk of Iowa, host Charity Nebbe is joined by Bill Whittaker, Research Director in the Office of the State Archeologist of Iowa. Whittaker says that his office did research at the site and was aided through a common archeological exploration of the bathroom.